6-bolt vs centre-lock: pros and cons? I am having a new set of wheels built, and am trying to decide on whether to go with 6-bolt or centre-lock rotor interface. What are the pros and cons of the two systems? 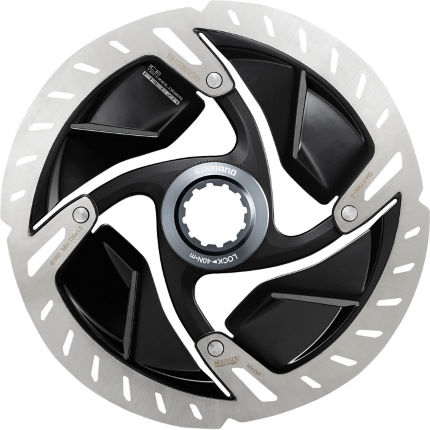 Centerlock largely exists because since the beginning of modern disc brakes for bikes, Shimano has more or less alone had a weird cautionary take on the physics of rotor bolts theoretically being able to loosen in the six-bolt design. That's why their six-bolt rotors have always come with various retention systems for the bolts that nobody else bothers with. Centerlock doesn't accomplish anything special and doesn't allow for lighter hubs or rotors (at least in a meaningful sense). 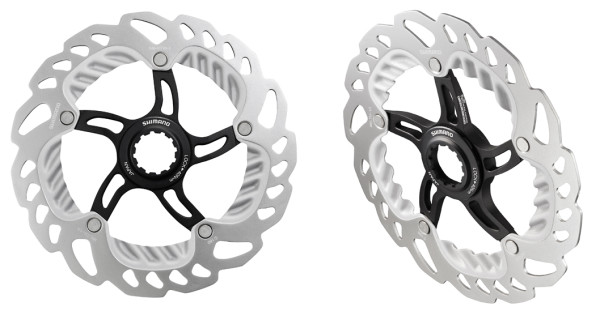 Shimano rotors are excellent so it's not like you're trapped if you have centerlock hubs, but you do have fewer options, and centerlock rotors are inherently more expensive at the low end because they can't just be flat pieces of steel. Centerlock has the disadvantage that carrying a lockring tool plus something to turn it isn't practical, so the best you can do if you severely bend a rotor on a ride is undo the caliper mounting bolts and try to hang the caliper out of the way, which is awkward. Even though the risk here is small and theoretical, it's enough of a potential day ruiner that given centerlock has little to no functional advantage, there's an argument to avoid it if all else is equal. The catch is that all else is often not equal, because Shimano hubs are some of the best value choices. Six-bolt does have the disadvantage that bolts getting seized, heads getting stripped, and/or hub threads getting damaged are all things that happen sometimes, whereas centerlock tends to be free from any such problems. Having one big high-torque fastener does create a more reliable interface in that sense. But it's a pretty fringe concern; six-bolt is perfectly robust and very few people will ever have to deal a seized rotor bolt. However, in all fairness it can be a difficult enough problem to deal with when it does happen that centerlock usually looks pretty good by the second hour in. Not being patented by Shimano means more vendors offer compatible wheels/disks. Torx bolts require a smaller tool which is often included in many multi-tools so one can always have one on the road. No need to have an extra tool, use the same cassette removal tool. I've had brake fade on my Shimano RS685/785 set up on descents in Wales and wanted to try the finned rotors, but my hubs are 6-bolt. 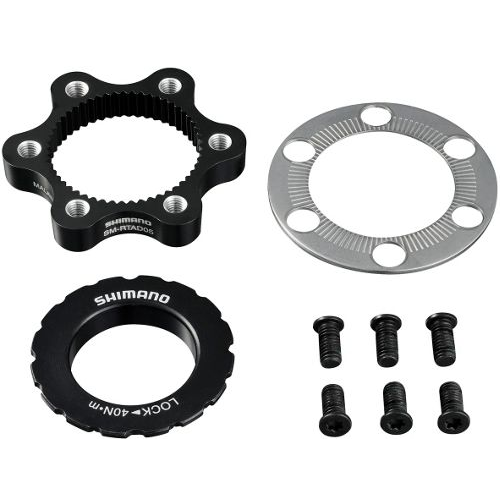 This is pro and a con: Shimano do an adaptor to run 6 bolt rotors on a centre-lock hub (SM-RTAD05), which is great for choice. But, I'd be slightly wary of this approach, because any misalignment or opportunities for vibration in a disc brake setup can cause brake squealing or shudder, and while I'm sure Shimano have tested these adaptors very well, it's a fair engineering assumption that the more interfaces and separate parts there are the more chances for misalignment there are. For me, I'd go 6 bolt on a mountain bike, because of the wider availability of 6 bolt rotors and the trail-side repairability, but centre locks on a road bike for the increased cooling and because they look a bit neater next to the more delicate road bike forks/chainstays (that last reason is subjective!). One disadvantage of 6 bolt is that you can torque one side just a bit more than the other which can cause the rotor to be just a bit warped. Center-lock torques evenly by design so there’s no risk. If you’ve ever stripped a torx bolt on a 6-bolt, you will have your answer for why people run centerlock. I will add a small disadvantage to centerlock is boost conversion on the rear. 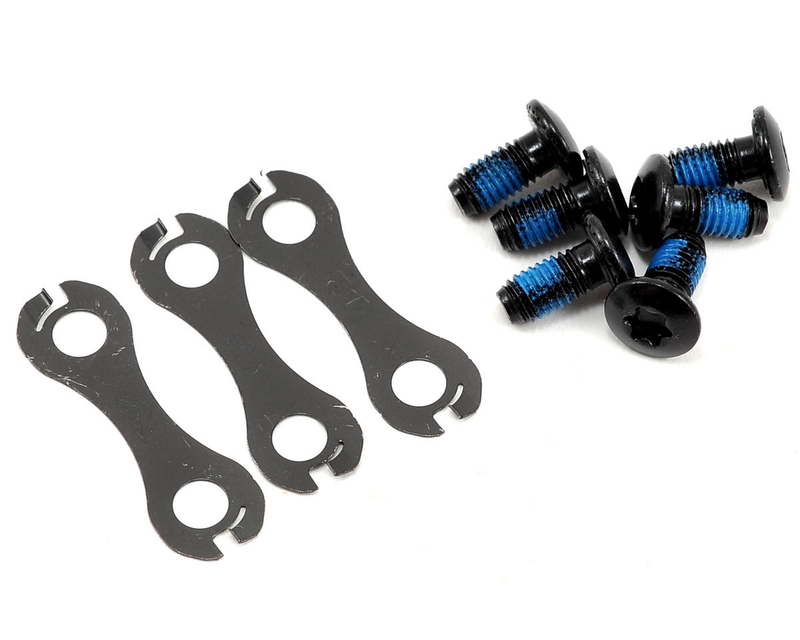 MRP sells kits for the front that use a caliper adapter to offset the rotor on the front, but nobody sells conversions for centerlock rears. You could in theory convert it to 6-bolt and then use the boost adapters, but 2 adapter kits is where I draw the line and sell my sweet DT 240. Adding to existing answers ... 6 bolt rotors can be shimmed to make rotors on two different wheels fit in the calipers without having to re-align. That's not possible on center-lock hubs. Not the answer you're looking for? Browse other questions tagged brakes wheels disc-brake hub rotor or ask your own question. Are rotor bolts designed to shear? Difference between 650c and 700c wheels? What are the pros and cons of Double Butted vs Straight Spokes when building a wheel?